Are you looking to refresh and revamp your business marketing efforts? 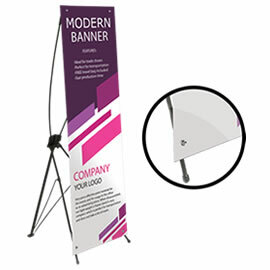 Our large format posters are ideal for that purpose. 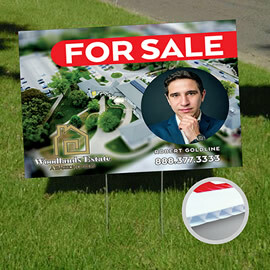 Use them in the front windows of your restaurant, beauty salon, clothing store or any other retail business to advertise any discounts and promotions your business offers. You can also use them in your office for your company’s vision and goals statement. 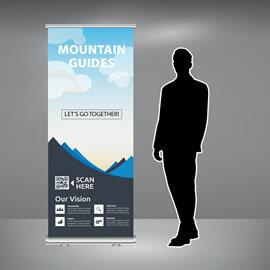 Planning to display your products at the trade show? 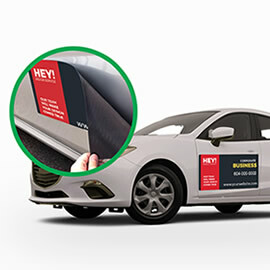 Large format posters are not only perfect for delivering the right message to your potential buyers but also they will make you more visible and make you stand out. Use bright and rich colours to get attention. This product is not only perfect fit for businesses but also for a personal use. Enlarge and print your family photos for hanging in the frame or personal event. 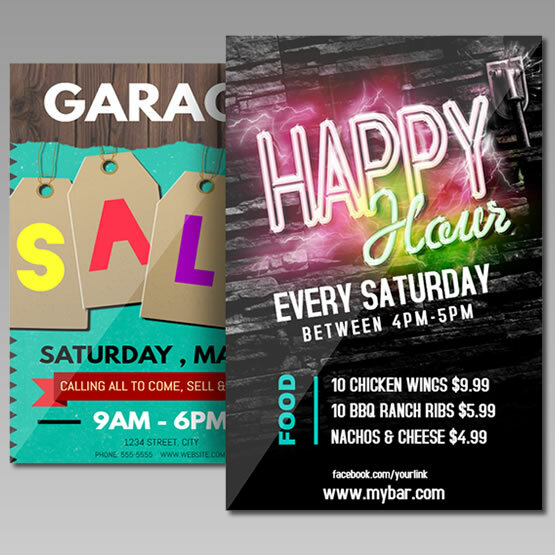 In order to get high impact of your printed materials, make sure to have creative and properly designed item. Should you require help with the design services, please ask us about our design packages. When designing your large format poster, please make sure to have 0.5" for bleeds from each side and 0.5" safe zone for each side. 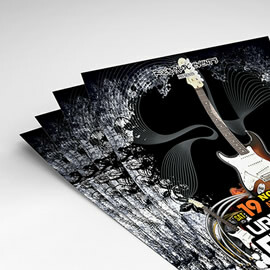 So if you are looking to print 18.0" x 24.0" poster, your final page size should be 19.0" x 25.0" which includes bleeds. For more information about bleeds and safe zone click here.